Roxanna is in her 3rd year at Sanctuary. She is such an asset to myself and her clients, even after having relocated to Essex she still visits a few times a month to attend her clinics and she is far too good to let go. We will endeavour to keep improving her client base and treatments as Roxanna updates her services and products. It is a pleasure to work with her and she is highly thought of by her regular clients. These days, women and men want maximum results with the minimum recovery time. For almost every surgical procedure, there is now a non-invasive option, which means no downtime, minimal discomfort and minimum time for recovery. Being a dentist with an interest in aesthetic procedure is an advantage, as Dr Dragomir treats each patient like a complex case. A full medical consultation form will be filled out with Roxanna before any treatment is given. Free consultations are also available on request. Roxanna holds monthly clinics at Sanctuary on Saturdays. After every treatment we advise that you return to the next clinic for a check up and free top up if required. Treatments can not be carried out during any stage of pregnancy. Lip augmentation for volume, even shape and definition. The fillers also help support and shape the tissue of the lips for your perfect pout. Fillers will last from six to twelve months. 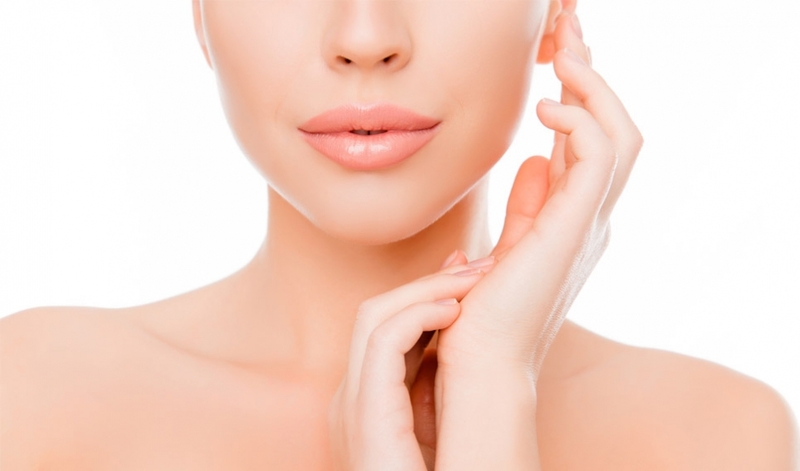 Dermal fillers are genuinely used for smoothing fine lines and wrinkles, also enhancing volume and fullness to skin thtas beginning to suffer from volume loss. For wrinkle reduction Botox is a treatment that will temporarily improve the appearance of frown lines, crows feet and smooths the forehead muscles giving you a natural, smoother, tighter all over look. The recommended areas for Botox are the Gabellia, Forehead and Crows Feet. Botox will last from three to six months.